There was nearly eight times more invested in asset and corporate acquisitions in the Marcellus shale in 2016 than 2015, according to new analysis in Evaluate Energy’s global M&A review for 2016. Marcellus assets changed hands for a total of US$7.25 billion in 2016 – a massive increase on the US$920 million total recorded in 2015. When an increase in M&A activity of this size occurs so quickly, the usual reason is that there were one or two deals with extremely high values skewing the figures. Here, however, this is not the case according to Evaluate Energy data. 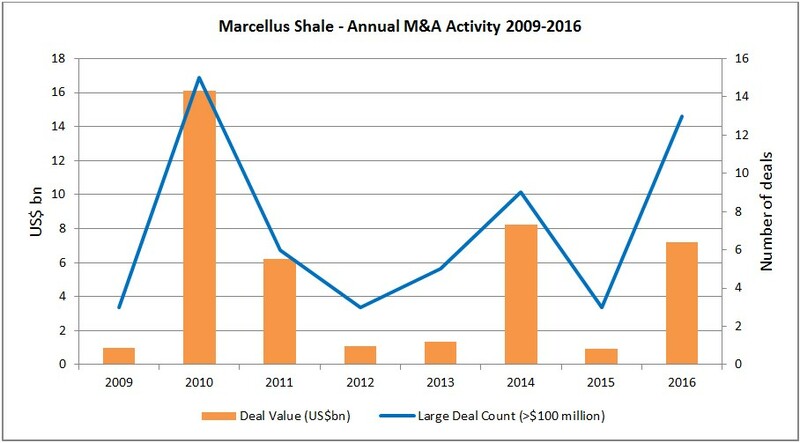 Not only were Marcellus shale deal values up in 2016, but the 13 “large” deals with a value of over $100 million was in fact the highest number of large deals seen in the play since its first real M&A boom in 2010. 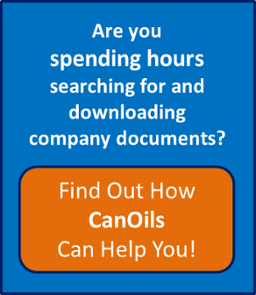 This is indicative of a real, widespread increase in Marcellus M&A activity over the past 12 months. The Marcellus has a core group of significant players, which includes some of the United States’ biggest natural gas producers. Some of these companies – including EQT Corp. (NYSE:EQT) and Antero Resources Corp (NYSE:AR) – were keen this year to take advantage of other companies deciding that their respective Marcellus positions were in fact now non-core assets. A handful of major international players were among the selling parties; Anadarko Petroleum Corp. (NYSE:APC), Statoil ASA (Oslo:STL) and Japan’s Mitsui & Co Ltd. all agreed a sale of Marcellus acreage for over $100 million. For more on the Marcellus shale deals in 2016, including specific deal values, and how activity here fits with overall U.S., Canadian and global M&A trends, download the Evaluate Energy M&A review of 2016 here.